New Borussia Dortmund signing Axel Witsel has admitted that he missed playing in Europe after an 18-month stint in China. The Belgian midfielder turned down a move to Juventus in favour of a lucrative switch from Russian side Zenit Saint Petersburg to Chinese outfit Tianjin Quanjian last January. But he's since returned from the Far East to sign a four-year deal with BVB. 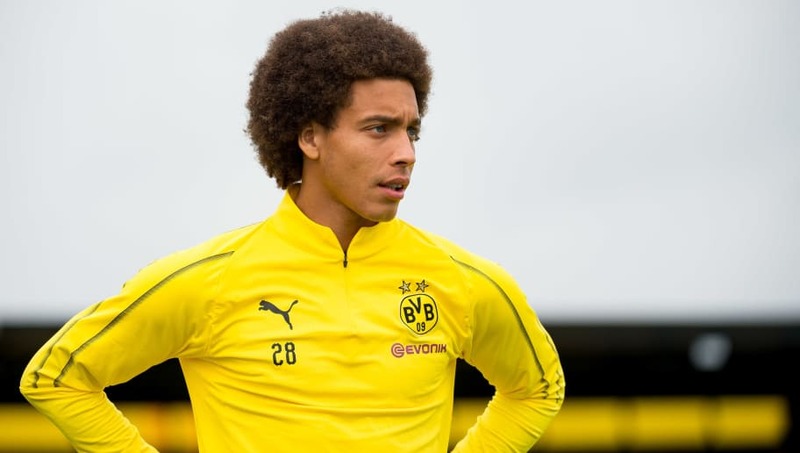 Witsel has said he's ready to be a leader in Lucien Favre's squad and has also admitted he never imagined he'd have an opportunity to ply his trade in the German top flight. ​"I'm ready to be a leader," he declared, via bundesliga.com. "I'm 29 years old, I'm one of the oldest in the squad. We have a very talented group, but one which is very young. "Piszczek is 33. Reus, Götze and me, we're 29. Bürki is 28. The rest are between 18 and 26. Quite frankly, I was surprised when I arrived. I started to speak to some of them, I asked them their age, and to be at Dortmund already at 19, 20 years old, it's brilliant. "I never thought that one day I'd play in Germany. I didn't hesitate as soon as I got the chance to join Dortmund." Despite having played in a less popular league, Witsel still went to the World Cup with Belgium this year and gave a good account of himself too. According to the player, the emotions experienced in Russia left him itching for a return to Europe and he couldn't have been happier when Dortmund came knocking. "I don't regret my time in China at all," he continued. "I could have said to myself that I would stay there after the World Cup. I could have signed a new contract there, I didn't. "After what we experienced at the World Cup, it was clear in my head: I absolutely wanted to return to Europe, but not just anywhere. I had the ambition of going to a top club. Dortmund came along, I didn't hesitate. To play in full stadiums, the atmosphere, the emotion…I'd missed the top level."